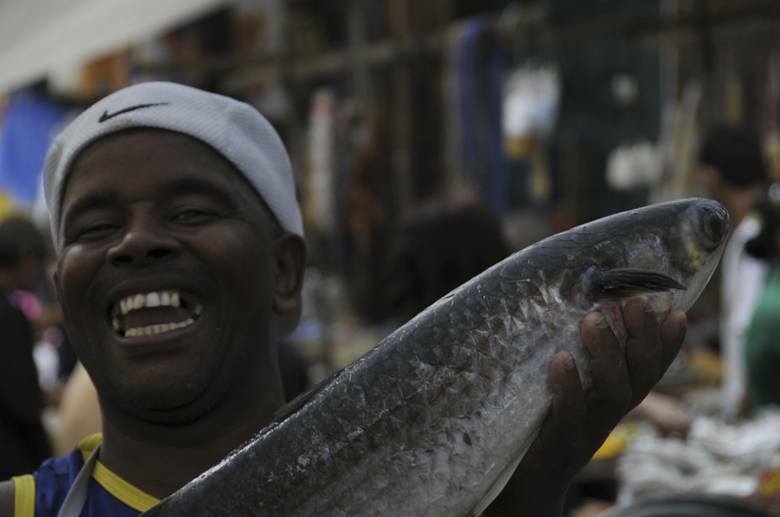 This story is from Favela Rocinha, dating back to our first visit to Rio in the summer of 2009. 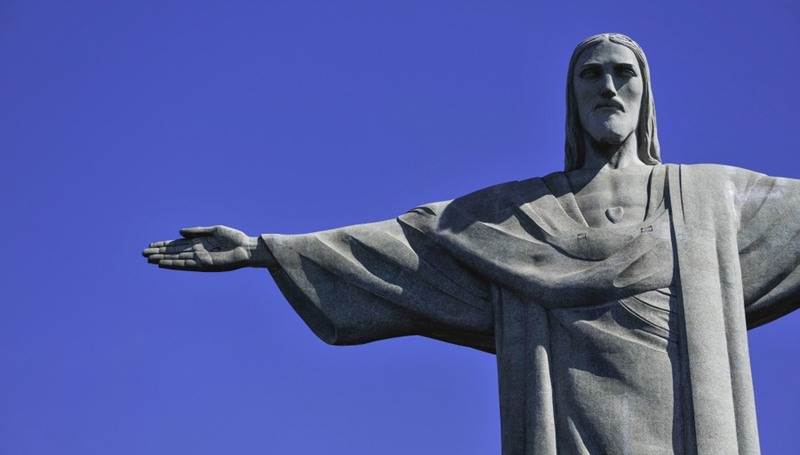 For more info on what to do/where to stay/eat in Rio, read our Rio in Five Insider Tips post! Rio de Janeiro is indeed a marvellous city. I once asked my grandfather, a globetrotter with 118 countries under his belt, which were in his opinion the most beautiful cities in the world. Without thinking, he said Rome, Vienna, Constantinople (after all, he was born in 1918), Sydney and Rio. By that time I had visited all cities except for Rio, and now I can’t help but agreeing with him on all fronts. I am not here to tell you about the beaches of Copacabana, the beauties of Ipanema, the views from the Pao de Açucar and the Cristo Redentor. When I think about Rio de Janeiro, my memory goes back to Favela Rocinha. After a few days of marvelling at the aforementioned sights and enjoying the sun-kissed Carioca weather, we decided to pay a visit to the favelas. Ironically, that morning the weather was cold and miserable, almost London-like. I found strange, nearly amusing, the possibility of experiencing similar sensations in two places geographically and conceptually distant from one another. Yet again, I wonder if my feelings about Rio would have been any different if we had glorious weather all the time. From Paradise on earth to a city like many others. Surely my experience of Rio would have been different, more naive, had I not visited the favela. Favela Rocinha is the biggest favela in Rio de Janeiro, with an estimated population between 100.000 and 200.000 people. Most of you will know what a favela is. Perhaps many will have ideas of how such place would be. Favelas are shantytowns that have developed over the last century, some literally cheek-to-jowl with affluent neighbourhoods in the Zona Sul of Rio. For instance, the entrance to the Vila Canoas favela is on one side of a road; on the other side there are grandiose gated mansions. The origin of favelas can be traced back to the Uruguayan War in the mid XIX century, when land was promised to the soldiers in exchange for their participation in the war. When the promise was not maintained after the war, some soldiers occupied a piece of land where broad beans (fava in Portuguese) were grown. Others argue favelas are the modern development of quilombos, communities of slaves who ran away from the plantations. Whatever the origin, the population of favelas swelled during the 20th century as a result of migration from the countryside to the cities. 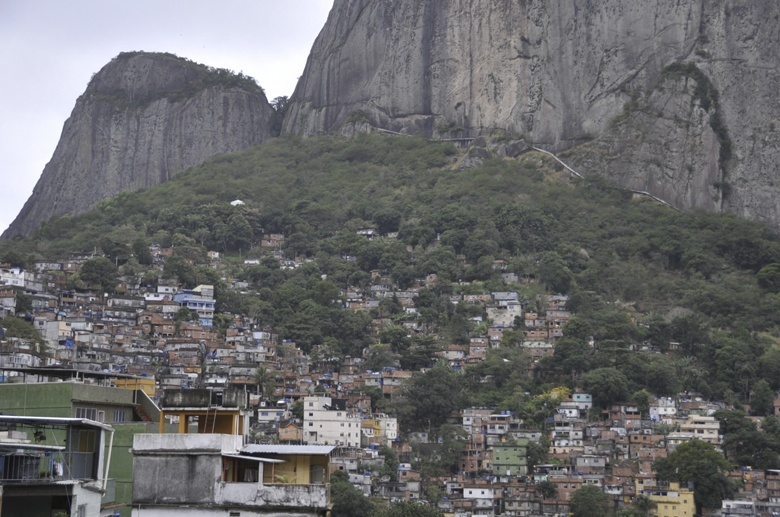 It is now estimated that up to 30% of Rio’s population lives in favelas. Many object to this type of tourism, considering it exploitative and voyeuristic. 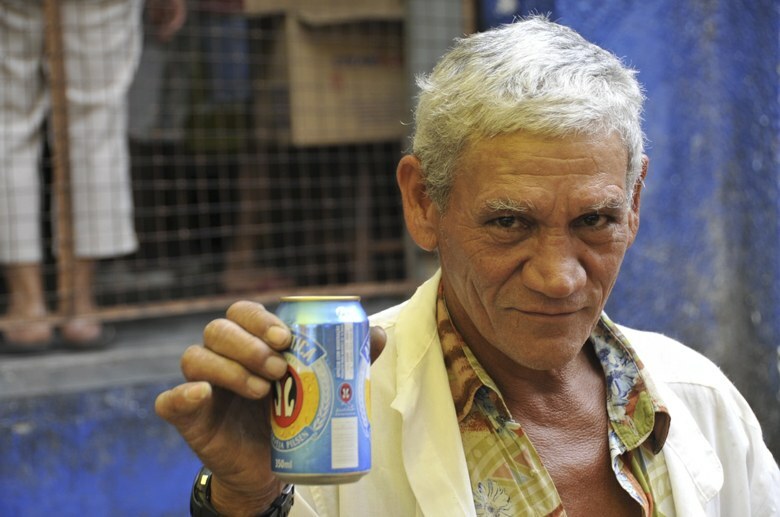 Others wouldn’t dream of visiting a favela, perhaps after watching the movie City of God which, funnily enough, was filmed in Rocinha. Personally, I beg to differ on both fronts. Firstly, considering the extension of favelas in a city like Rio, I find it hypocritical not to acknowledge their existence and limit myself to the charms of the Zona Sul. Moreover, revenue from the tour profits the community itself. Our trip was organized by Favela Tours, the first operator to offer this type of tours in the city. Before signing up, we were assured that tour profits are kept in the neighbourhood. Indeed, when we ended our tour in the Vila Canoas favela, we visited a school built with tour proceeds. As for the violence, we were told that favelas are indeed run by drug lords, but a precise set of laws apply to protect the residents: no unauthorized killings, no rapings, no muggings. At the same time, foreigners wandering through the favelas unaccompanied would also be perfectly safe. We experienced that ourselves. Going through Rocinha market we lingered taking pictures, and lost the rest of the group. Nick had a Nikon D700 around his neck. People smiled and helped us finding the rest of the group. What stroke me first about Rocinha was the magnificent view its residents enjoy. 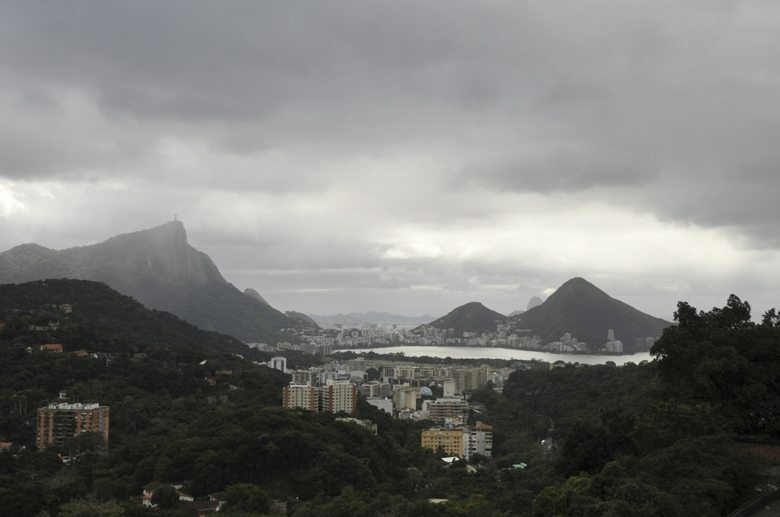 It is the only place in Rio where one can see Cristo Redentor and Pao de Açucar at the same time. What remains in my heart about the place is the friendliness of its inhabitants. A friendliness that is not there to hide a purpose to exploit the tourist, instead a smile that is there to say ‘welcome to my home, tell your friends that here is not all about guns and blood, tell them and come back to see us’. Now, I am not claiming that after a day tour in the favela I understand all there is to understand about how it is to live there. The tour we took was a window into the life of a community, a village in the heart of a big city. Little boys played football in the street, little girls played dolls. I had my picture taken with a beautiful little girl. I could see her from the corner of my eye that her hands were moving; only later did I realize that she was signing a love-heart. I felt, however, that not all could be as golden as it looked. Memories of City of God came back to my mind and I found myself thinking whether one of the boys playing football would meet the destiny of File com Fritas (Steak-and-Chips), the 8 years-old boy who was brutally murdered in City of God. I wondered if those children were also involved in the drug trade, whether or not their playing is as carefree as other children in the world. When we visited the ‘Para Ti’ school at the end of the tour, I read some poems written by the children. 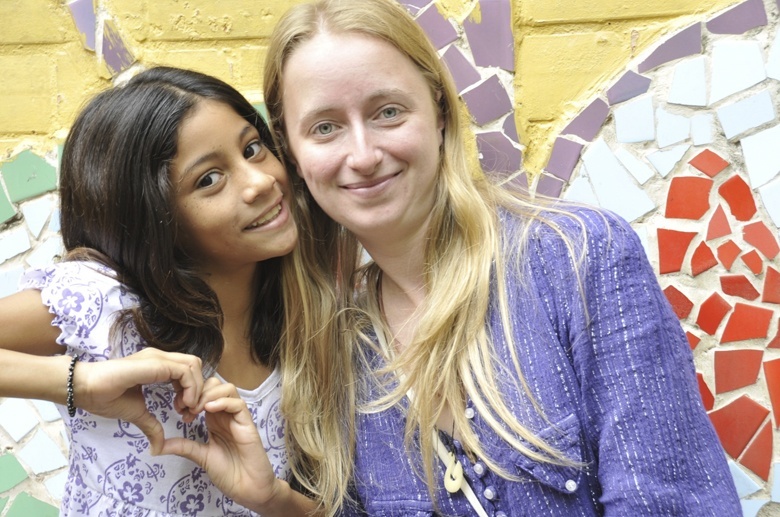 Nicole, 11 years, wrote a poem called ‘A minha Escola’. So it went: ‘A minha escola tem sala para ler, tem sala para escrever. Ela e o maximo! Ela e amor. Ela e o remedio para a minha dor’. ‘My school has a room for reading, a room for writing. It is the best! It is love. It is the remedy for my pain’. For more info on other amazing Brazilian cities, check our Salvador in Five Insider Tips and our Five Tips Sao Paulo posts! I visited this favela a few years ago as well. It was really eye-opening and I am glad I was able to visit it and speak to the inhabitants too. Thanks Tammi. I got so many negative comments to this from friends, that I was actually afraid of posting. I’m glad you liked the post. First off your grandfather is awesome! 118 countries- wow! I love that the favelas are your big memory of Rio- I haven’t been (yet) but that is definitely something I feel like I would need to experience before leaving- but so many people are afraid and against it. I really enjoyed reading about your positive experience! Thanks Hannah. My grandpa passed away last July at the age of 95, he lived the most amazing life. Thanks Heather! Glad you liked the post. Really interesting post – good to get a different perspective on Rio away from the usual touristy sites. Thanks Lucy. Glad you liked the post! The photo of you and the little girl is just beautiful! 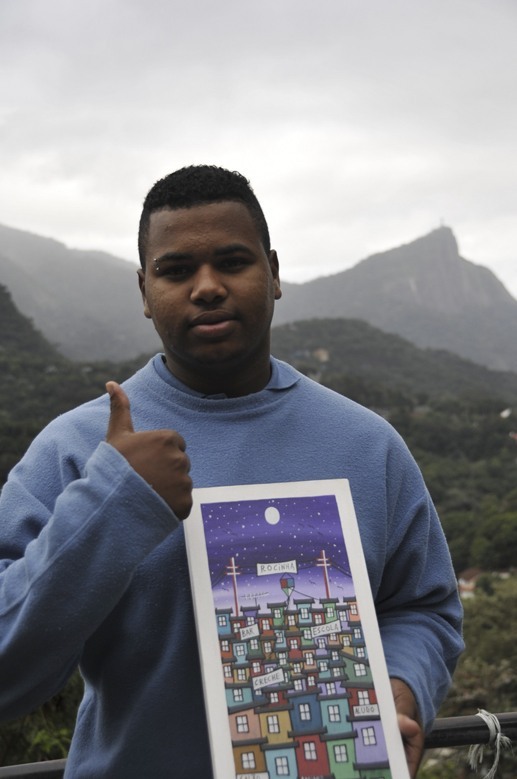 Thank you for walking us through your experience through this favela. Thanks Alli. It’s a beautiful memory. I would want to experience a Favela if I was in Rio, too. I think learning about other cultures, especially ones that make up such a huge portion of a city, is one of the most important aspects of travel. Yes, it can be exploitative, but it sounds like you picked a good tour operator that made sure your tour wasn’t. Thanks for sharing your experience! Thanks you for enjoying this post Amy. My experience was a good one, and I would love to inspire others to do the same. First off, I am in awe of your Grandfather! I like that you highlight both the good and not so good aspects of the favelas, It can be easy to sensationalize either way. Great post! 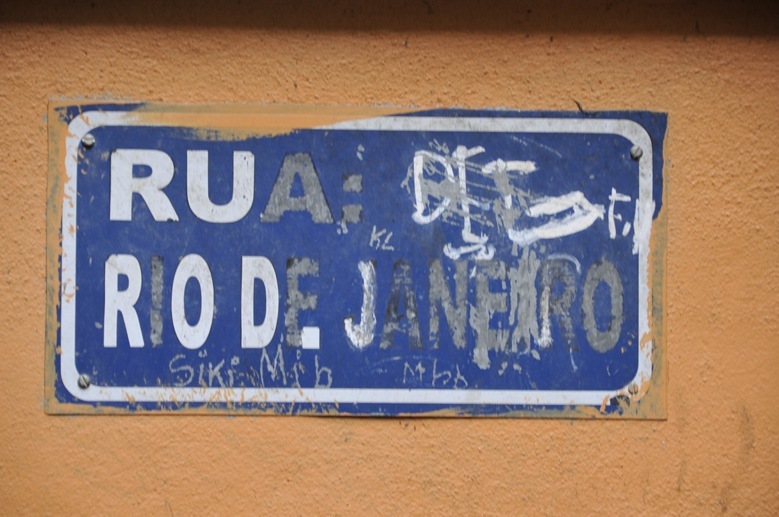 Love the photos and reading about your experience visiting this interesting part of Rio. Definitely somewhere I’d like to visiting when in this part of the world one day. Thanks Jen! It’s definitely worth going. A great experience! I think its really important to go into different parts of a city or town you’re visiting. A trip to Rio for me wouldn’t be complete without seeing a favela. Its good to know there are organised tours and that certain rules are maintained for residents and tourists. Its definitely on my never ending list and this makes me feel less nervous about the City of God! Thanks Kate! It’s definitely a worthwile experience! Hope you do get to go. Interesting article! With favelas, it’s a fine line between voyeurism and wanting to learn something, but if it benefits the local community then I would probably consider visiting one of them as well. Like you say, they are definitely part of Rio! You’re right Els. I’ve been wondering what to do for ages before going… and even after going I wasn’t sure if we had done the right thing. It was a great experience though. Hey Joao! thanks for your nice comment, glad you liked the post. It was a great experience, and being Italian, the culture was not totally alien to me. It was for my husband though, who is Australian. Thanks for stopping by, hope you’ll visit us again! Honestly, I did not even know that something like Favela even existed. Very informative and loved those portraits. Adding it rightaway into my bucket list now. I guess I am in the latter category as I dont think Favelas should be something that should be offered out for a tourist. Its like saying lets go and tour the poor areas of London. Instead the Government should do something about the living conditions of people instead of turning it into a tourist attraction. Great post either way for highlighting the fact that these are just normal people like everywhere else. Thanks for the comment Bianca. I have been thinking a lot about this experience, after rather than before doing it. I guess I should have researched the matter more closely. I am glad you liked the post. Glad to hear that I am not the only one who believes that there is some good in participating in these Favela Tours in Rio. I visited Rocinha with Be a Local Tours, and we were told that the some of the money we paid for the tour would go towards programs and restoration projects for the local Kindergarten class. I firmly believe that we have a duty to participate in such tours around the world provided it doesn’t exploit the locals too much and proceeds from your tour go back towards the community. This is why Rocinha became one of the first favelas in Rio to be pacified and it also helps prevent the ongoing crime and violence that plague these poorer communities. Thanks for your comment Ray, you couldn’t have said it better! There’s a lot of media hate and misinformation regarding these kind of tours that I believe can be beneficial to both visitors and the community – if done properly.